Damn those cheap US car prices! 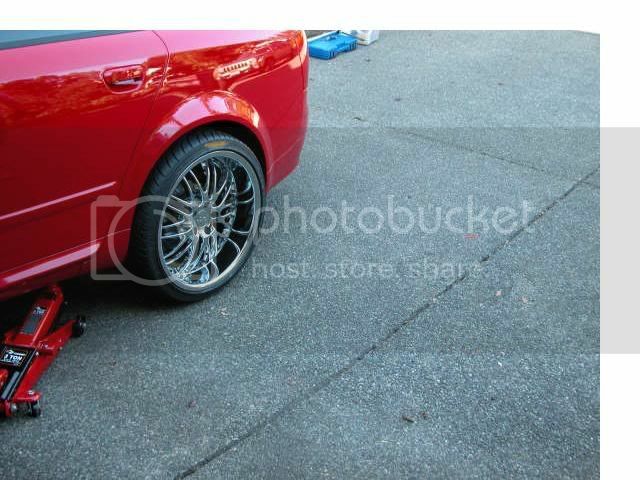 Wheels - 18'' need more width though!!! New suspension - can't make mind up Air Ride or Coilovers! Remap, upgrade injectors, upgrade BV, and K04 Turbo, custom Manifold and upgraded intercooler - more BHP!!! fat wheels for the audi - 20's.....!!! I've got to complete some arch work before I can completely drop the suspension all the way down, but looking good, more updates soon. So today was the start of cleaning the paint on the daily and onto the Audi tomorrow and hopefully clean the BLACK SOY too! So out come my new Makita Electronic Polisher-Sander and Polishing kit. and after 4 hours - the paint work is like new!! Also brought a few items for the Audi - I will be installing these tomorrow and will provide updates on Monday! - New Right hand side boot Strap as it broke - not looking forward to that job, have to take most of the inside panels off!!! O the fun! 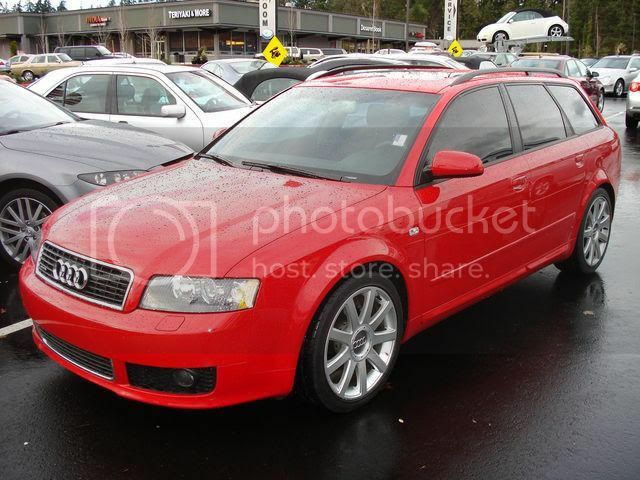 I have a very productive day, with installing the following on the Audi. I will write up all the items over the next few days, but here is the engine covers installation! Here is a picture of the engine before starting, lovely and dirty!!! I spent a good hour cleaning up the engine bay, with clothes and brushes, with it ending up looking like this! And then the Battery cover, this just slides into place. So now onto the OEM Right Engine Cover, the before shoot! For the Right engine cover you do need to install two secure parts first. I compared the original bolt and new part! Again take parts and put together. You will see in pictures additional screws, two of these will be used to secure this item to the car. The screws will be cut down, as these ones in the picture are too long! (right under the rubber seal) on the B6 models there are no pre-drilled holes for this, like the B7 models. I measured up a few times and tested out the cover in place and then drilled two holes and installed the bracket in place as seen below! And now the completed Engine bay area with the new covers Very happy with the results! 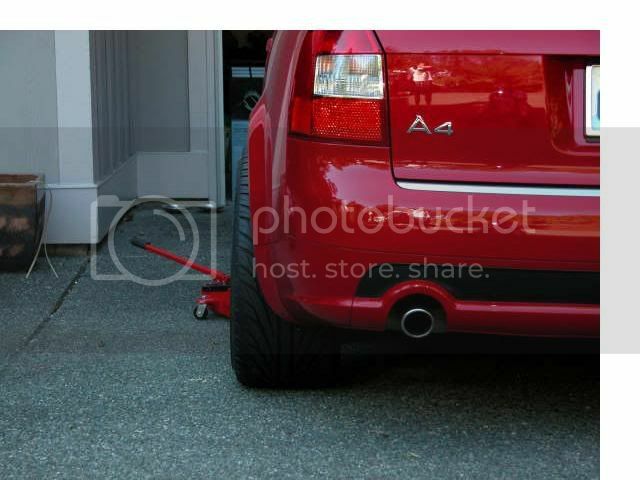 So the Audi is still under a Factory Warranty, so I donâ€™t want to void that and with the current Exhaust on the car is like new, I didnâ€™t want to replace it, but the Exhaust tips in my view are just too small and donâ€™t finish off the back of the car well. So I ordered new Exhaust tips ($25 - so cheap!! !, best buy for the car so far!!) and here is the installation! I then used my electric saw with metal bit..
And with-in about 30sec, the exhaust was cut! Comparison of the old to new! And then install the new Exhaust tip! I then repeated the same steps on the other side and job complete, now the rear looks much better! 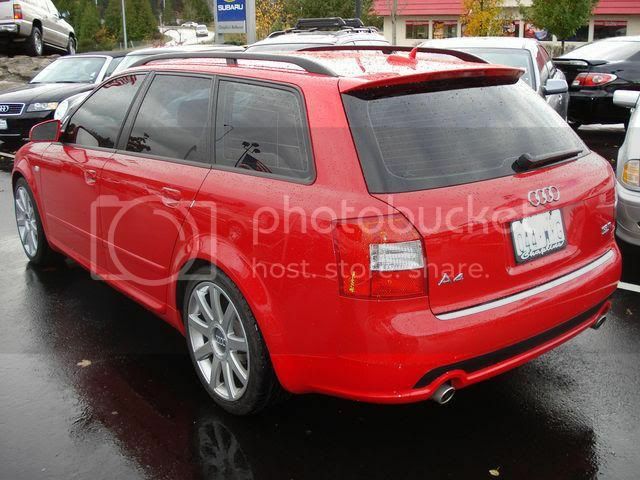 Here is picture of the new RS4 and standard brake handle! So to get your current brake handle off, you need to pull your brake handle up as far as you can and using a small screw driver, put screw driver into the click as in pictures below and push clip forward and up, so that you can then pull the brake handle forward and it should come off! You then install the new brake handle. You will hear it clip noise once its properly pushed on and into place. Now the Steering wheel, gear stick and Brake handle all match! So after the winter period the boot area of the Audi has got really messed up, specially the carpet, so I spent hour cleaning it with water washer. I wanted to protect the boot area carpet, so I bought a custom Avant boot Mat for the Audi. Installation is very easy, just place Matt in and it fits really well and stays in place! AAA Pack in place and all done!!! You will see on the right hand side the Boot side strap, which I replaced today, details on how do to do that will be published shortly!